The Sweeney Todd is an exciting killing lure in the Cormorant family that is worthy of a place in any fly fisherman's flybox. Throat : Magenta wool, fluorescent or DF neon. 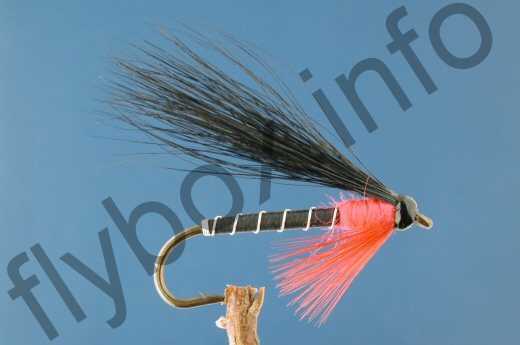 Wing : Black squirrel or black bucktail. Beard Hackle : Crimson hackle fibres. Whether you use squirrel or bucktail depends on the hook size. Longshank. Currently there are no comments about the Sweeney Todd fly pattern from other fly fishermen yet.